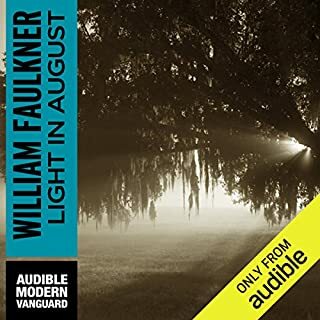 ©1948 Random House, Inc.; 1975 Jill Faulker Summers (P)2005 Random House, Inc. Random House Audio, a division of Random House, Inc.
Faulkner's style is not easy, so anyone who reads him or listens to him should expect to work a bit. However, there are major rewards for the effort. The central character in this story, a proud mixed-race man who is charged with murder and assumed to be guilty because he is Afro-american in the South many years ago, is one of the most satisfyingly depicted black male characters in all of American literature. 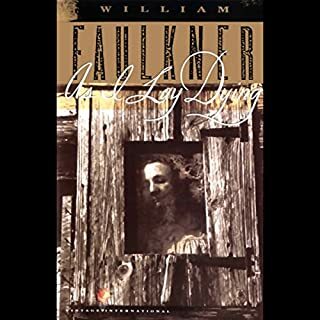 Faulkner's expertise in drawing this man, Lucas Beauchamp, and in depicting his dialect, his speech patterns, is beyond reproach. As you listen, you will see this man in your imagination as clearly as you see yourself in a mirror. The plot is that of a mystery being solved. Lucas sits patiently in jail as the white roughnecks in the community plot to take him out and lynch him....Lucas is patient and confident because he knows he did not murder the dead white man, and he knows a way to prove it, and he manages to set in motion certain actions that will bring the truth to light...if the actions can be completed (by two boys, one white, one black) before the lynch mob gets Lucas out of jail for the rope and gasoline party they have in mind. You will wonder after enjoying this fine story if the author of To Kill a Mockingbird was inspired by the tale. Intruder preceded Mockingbird by several years, and the themes and story line and characters are closer to each other than I would be comfortable with had I written Mockingbird. 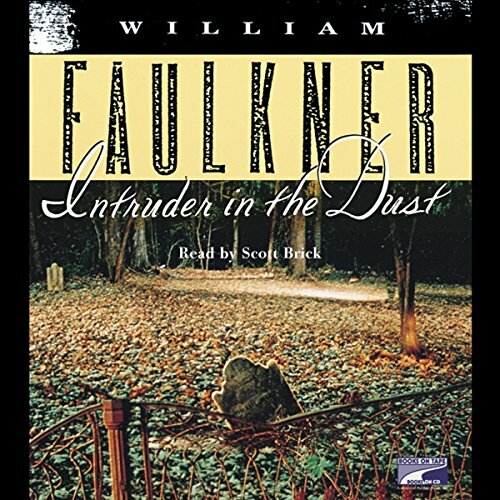 Intruder is one of Faulkner's most accessible books. You will not be disappointed. 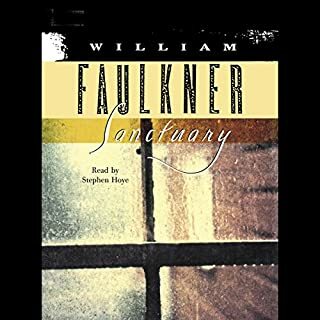 Few authors have the dexterity and precisenessness of human speech and emotions as Faulkner. His commentary and observation of the nuance of racial encounters in America is unsurpassed. The story is alright, some reasonably interesting twists although the author can be a bit repetitive at times. The narrator seems to build up almost every sentence with volume and excitement to some sort of climax that really never comes. I comes off as preachy, I found my self tuning out uncle Gavin's long speeches. Wonderfully written, beautifully read. 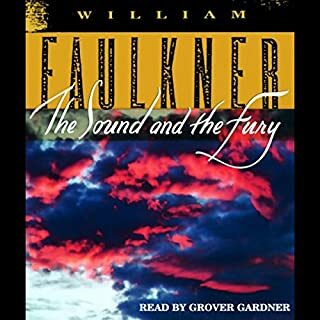 My first Faulkner, I don’t understand why it took me so long to come in contact with such a stupendous art work. To be savored, like the best and rarest of wines. 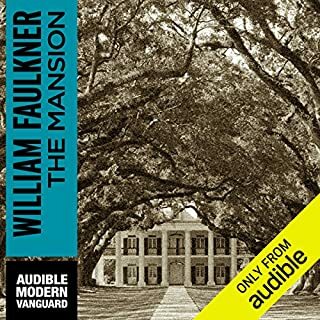 The narrator is really good, perfect for Faulkner and his characters. No question but that the book is great literature. The story is very thrilling at times, but other times, when it gets conceptual and nonlinear, I would have been better off reading, and rereading, it at my own speed. I found myself just hearing words go by sometimes. But if you have the time and the patience to keep going back, it’s worth it. What did you like best about Intruder in the Dust? What did you like least? Could you see Intruder in the Dust being made into a movie or a TV series? Who should the stars be? 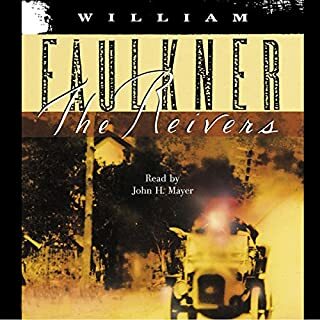 Not his best, but hey, it's still Faulkner. Scratched the classic-southern-gothic itch alright. Something about it seemed a little like a formulaic noir detective novel though. However there were some awesome scenes scattered amongst the less imaginitive stuff.